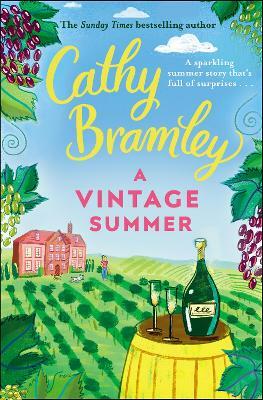 Cathy Bramley is the Sunday Times bestselling author of romantic comedies including Wickham Hall, The Lemon Tree Cafe, Hetty's Farmhouse Bakery and A Match Made in Devon. She lives in a Nottinghamshire village with her family. Her recent career as a full-time writer of light-hearted, romantic fiction has come as somewhat of a lovely surprise after spending eighteen years running her own marketing agency. However, she has been always an avid reader, never without a book on the go and now thinks she may have found her dream job! Cathy loves to hear from her readers. You can get in touch via her website or on social media.